Drake in Montreal or Quebec City? 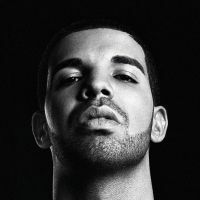 Inform me about the next events for Drake. Enroll yourself to our priority waiting list for Drake to be alerted when new tickets are available. Filling this form doesn't engage you to any purchase. Drake is coming to Montreal on September 4th and 5th, 2018 for a pair of concerts at the Bell Centre. The « Aubrey and the Three Amigos » tour will allow fans to see Drake live with Migos as the opening act. The tour will be visiting Montreal, Toronto, and many other cities in North America. Drake recently released two new hit singles, "God's Plan" and "Nice for What", from his upcoming 5th studio album "Scorpion". Don't miss Drake and Migos at the Bell Centre this summer !